Hydromantis Environmental Software Solutions, Inc. is the global leader in water and wastewater treatment simulation technology and modelling services and the developer of the most popular software solutions for the industry including: GPS-X™, SimuWorks™, Toxchem™, CapdetWorks™, WatPro™ and ODM™. Hydromantis provides expert modelling services for wastewater treatment plant design, commissioning, operational performance and planning improvements. 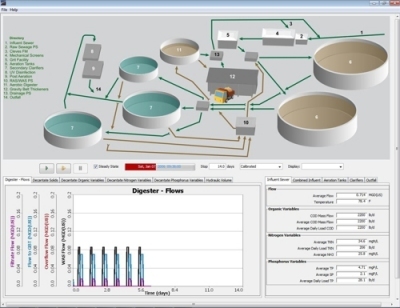 Plant owners, Operators and Wastewater Engineering Consultants can take the uncertainty out of critical wastewater design and operational decisions with Hydromantis’ advanced process modelling. Hydromantis delivers integrated services and technology solutions that set the world standard in wastewater treatment optimization. Hydromantis’ expertise and tools have produced measurable results for a diverse group of enterprises around the world, resulting in millions of dollars in estimated savings.